The city of Muscle Shoals, Alabama invites you to come and enjoy its newest offer to the citizens of the Shoals and visitors to the area. 18 challenging holes await you and your golf game. With 15 of the holes having water on them, miniverde greens, and five sets of tees available, Cypress Lakes is a great place to play for all skill levels. Make sure to check out the fully stocked pro shop for the latest in golf clubs, balls, and apparel as well. Looking for something to eat or drink? The 19th Hole Lounge is available Tuesday through Sunday with a seasonal schedule. Are you trying to find a place for that holiday party or special occasion? Cypress Lakes has rooms to rent for those special times on your calendar. Feel free to contact us about availability. As you can see, Cypress Lakes has different options for your leisure and recreation. When you come and see us, we will do everything we can to make sure you enjoy your time with us. Please call 256-386-7783 for current rates. 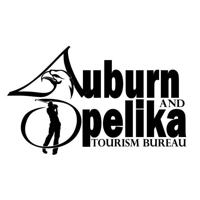 Call 256-386-7783 for rates and tee times. Contact Cypress Lakes Golf & Country Club at 256-386-7783 for more information and details on holding a golf outing at the course. Contact Cypress Lakes Golf & Country Club at 256-386-7783. Contact Cypress Lakes Golf & Country Club at 256-386-7783 for onsite or nearby dining options. This profile was last updated on 10/24/2018 and has been viewed 12,878 times.